Hands Up who wants a New Stampin’ Up! Catalogue!! A slightly different post from me today. 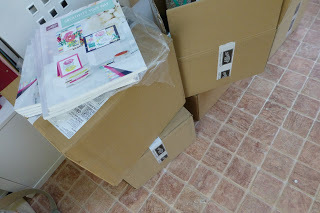 A certain delivery company has just delivered some huge boxes to Old Stables Crafts HQ with an enormous number of shiny new catalogues in them. But the real question is who wants one of the amazing new Catalogues that is in the boxes? Existing Customers and Class Attendees will get one automatically, but who else would like one so they can shop with me?? I am happy to send you a Catalogue FREE of CHARGE if you would like to thumb through it and place your order with me. Please complete the following form. Please share this with all your friends and family.